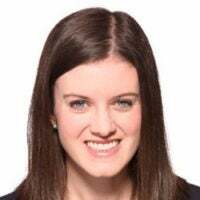 Alexis Mrachek is a research assistant for Russia and Eurasia at The Heritage Foundation. 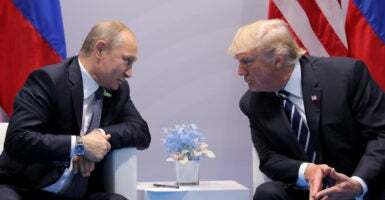 On July 16, President Donald Trump and Russian President Vladimir Putin will meet for their first formal bilateral summit in Helsinki, Finland. Expectations should be kept at a minimum. The U.S. and Russia have conflicting interests when it comes to many of the major geopolitical issues of the day, and this is unlikely to change anytime soon. Trump should use this meeting to address some serious issues with his Russian counterpart. For one, he must make clear to Putin that U.S. policy remains that Crimea is part of Ukraine, not Russia. Crimea legally belongs to Ukraine and since 2014 Russia has been occupying the peninsula unlawfully. Trump should also press Russia to end its support for the war in eastern Ukraine. Over 10,000 casualties have resulted so far since the conflict began in early 2014. Russia should fully comply with the Minsk 2 ceasefire agreement. Furthermore, Trump should stick to his plan to bring up Russia’s meddling in the U.S. elections. By interfering in the 2016 and 2018 American elections, Russia is directly attacking our sovereignty and our values. The Trump administration must continue to hold the Kremlin accountable for its meddling misdeeds. Trump should also make clear at the meeting that Russia will not be asked to re-join the Group of Seven (G-7) countries until it changes its ways. There are multiple actions Russia would need to take to qualify again for that privilege, and it is unwilling to do most of them at this point. Another point of the dialogue needs to be Georgia. Russia occupies 20 percent of Georgia’s territory. Russia also continues its “creeping annexation,” meaning that Russian guards essentially re-draw boundary lines to take more Georgian territory. Once these borders are moved, Russian guards will often kidnap innocent Georgians, releasing them after blatant extortion. The topic that is most likely to be brought up is Syria. Supposedly, both Trump and Putin will discuss Iran scaling back from the Syrian conflict. It would be wrong to think that Russia has the ability or influence to force Assad to remove all Iranian forces from his territory. Furthermore, recent events in southern Syria show once again why Russia cannot be trusted there. All of these topics undoubtedly matter, but Trump’s approach toward Putin throughout the summit potentially matters even more. Ahead of the upcoming meeting, National Security Advisor John Bolton met with Putin. When discussing the poor state of U.S.-Russia relations, Putin remarked they are largely a result of the “internal political fight” in the United States. Point in fact—this is Putin trying to deceive and shift the blame from himself onto U.S. citizens. The real reason for our nation’s poor relationship is Russia and its continual transgressions, which include meddling in U.S. elections; illegally annexing Crimea; invading eastern Ukraine and parts of northern Georgia; and launching vicious cyberattacks on international entities, to name a few. On July 16, Trump must not fall victim to Putin’s schemes. So far into his presidency, Trump has been the toughest on Russia since Ronald Reagan was in office. To keep the bar high, he must keep American interests at heart and not waver.